This NYFW Spring/Summer 2018 was short and sweet for me, and also very last minute. I only went for 3 days, but I got so much accomplished during that short period of time. I can’t wait to take you along on my NYFW adventures and show you all of the places that I got to explore! 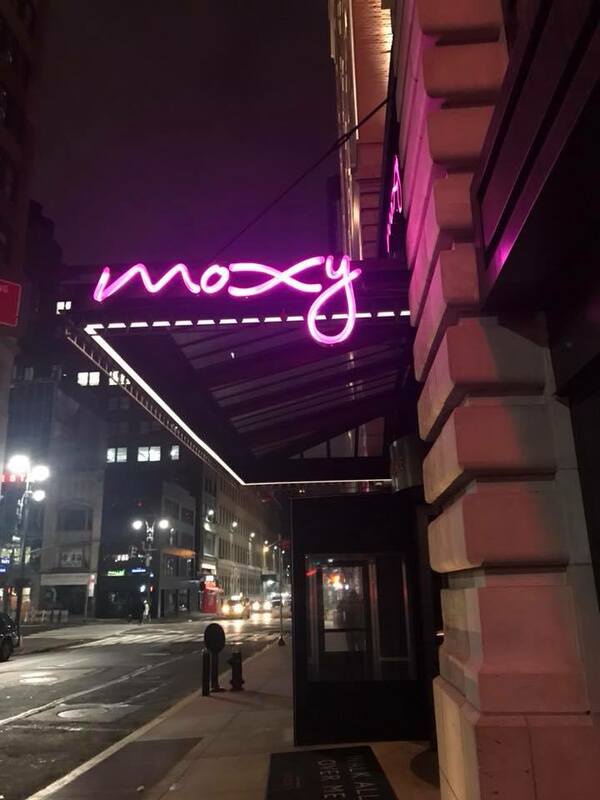 I stayed at the 1 Hotel Central Park and the Moxy Hotel Times Sq. I know most New Yorkers would shudder at the mention of Times Square, but it was actually a few blocks out and it wasn’t crazy busy. It was actually in a great spot because quite a few subway stations are in the area and it was very easy to travel downtown to the shows. The 1 Hotel was an absolute dream. Relaxing, felt like a log cabin in the middle of Manhattan. It was such a peaceful place. I loved the amazing architecture and the woodsey scene that was created with tree bark decor, succulents, live plants, and moss. Oh, and there was a rainforest shower – to make it that much more zen. has a bar and restaurant in the hotel. very friendly and accommodating staff members, truly a 5-star experience. 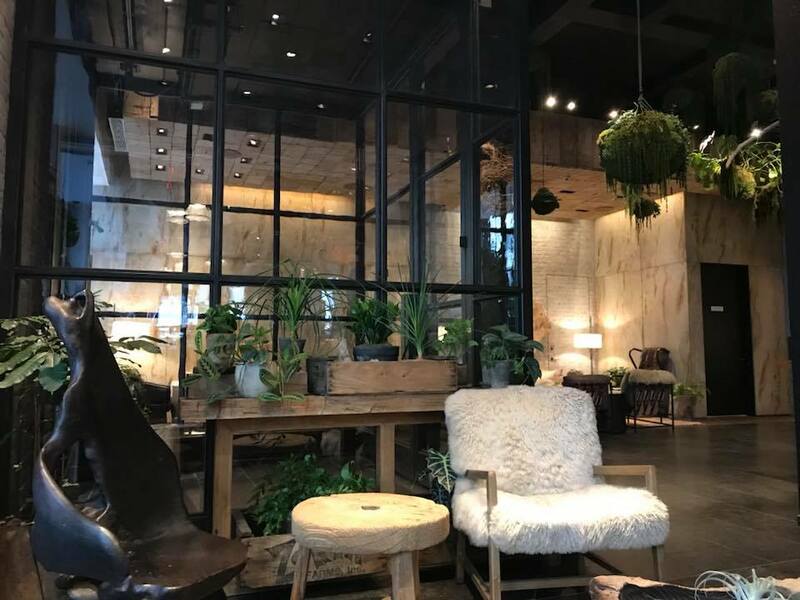 I enjoyed my stay at the Moxy Hotel as well, very lively and upbeat. My only complaint is that it is very loud, and if you choose to go to bed early it feels like your neighbors are having a party and you can’t do anything about the subwoofers going hard at odd hours of the night. If you’re on the other side of the spectrum – at one of the 3 bars at the hotel, it’s a total party. 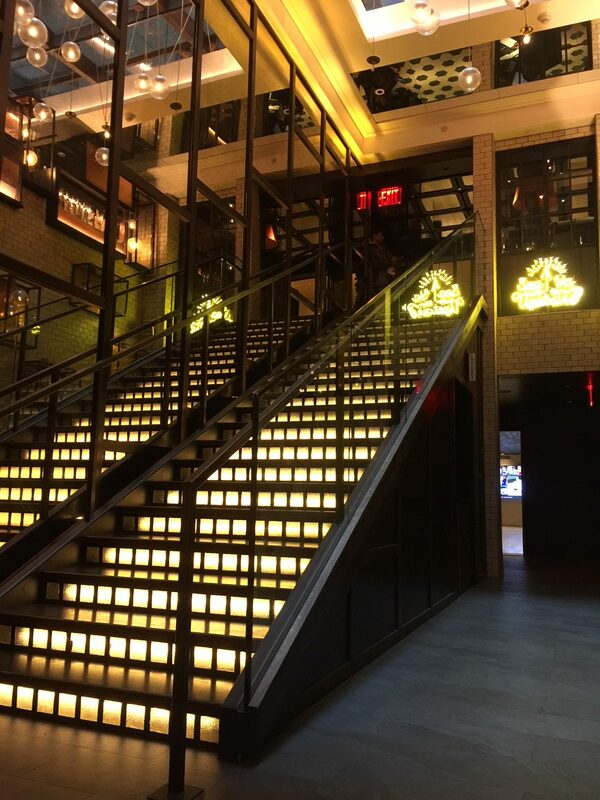 The rooftop bar is incomparable with views of the Empire State building, a carousel table for bottle service, and a mini golf course. Soooo I pretty much had some of the best mac and cheese, which is a huge thing to say because I live in the South and people don’t mess around with mac and cheese down here. 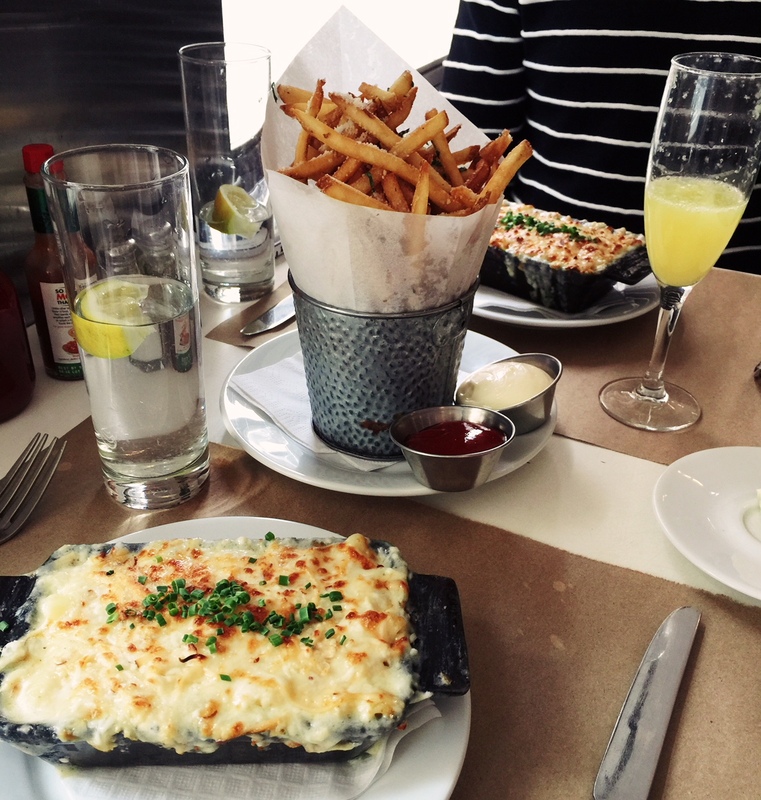 This is such a weird thing to say, but I feel like NYC has a really good mac and cheese scene.. Like you can get it gourmet, anywhere and it’s always DELICIOUS! Another great meal was during the Burt’s Bees event. 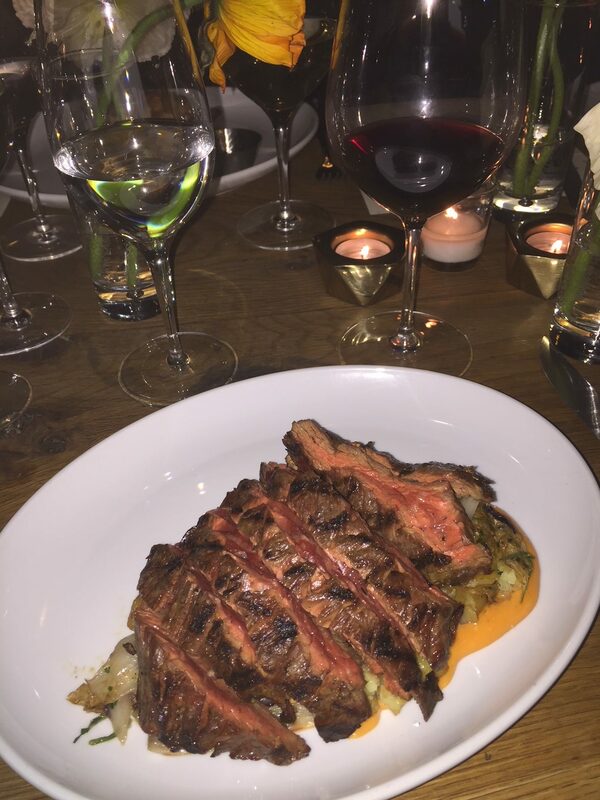 I had a Steak dinner with garlic mashed potatoes underneath. 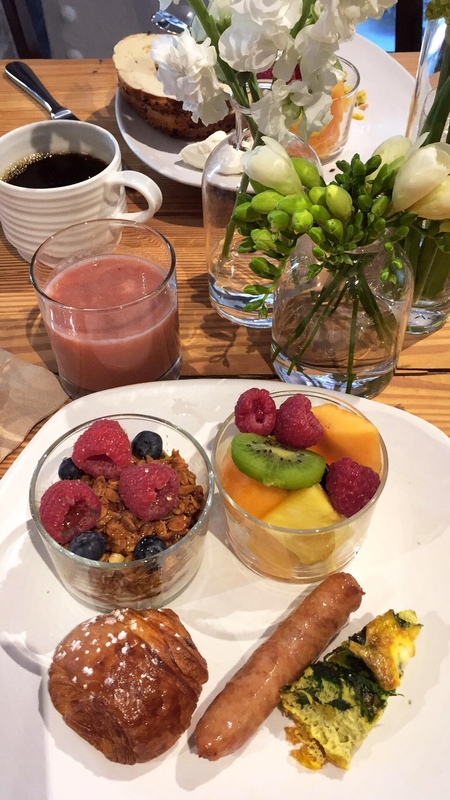 The next morning I had a lovely brunch with the Burt’s Bees team after a morning of meditation. I kept NYFW very simple this time around. I feel like I have already accomplished so many of my NYFW goals in terms of shows and backstage, that I wanted to be able to relax and not pack as many shows into my schedule. This is the smallest and most low-key NYFW trip I have ever attended, but I honestly loved not being stressed all of the time. 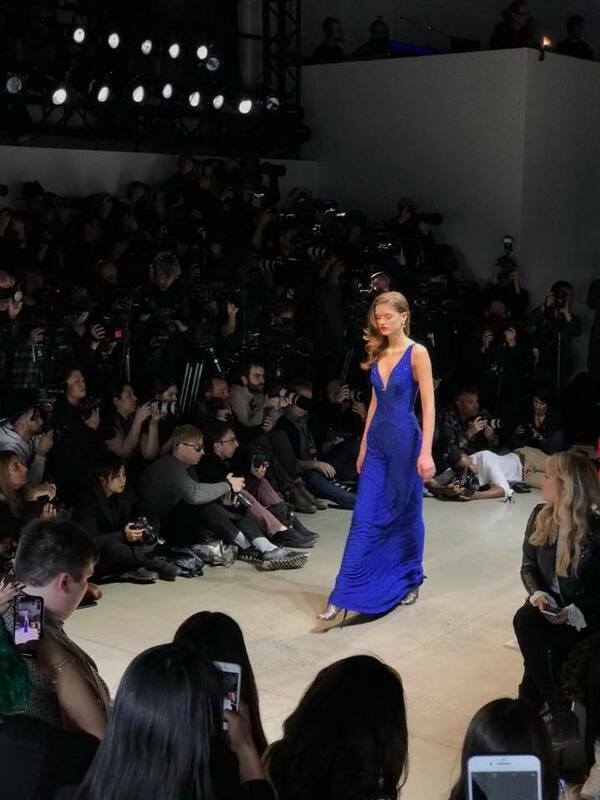 While my trip to NYFW was VERY last minute and I didn’t do any reaching out to brands, I was still extended an invite from a few names such as Tadashi Shoji and Tibi. 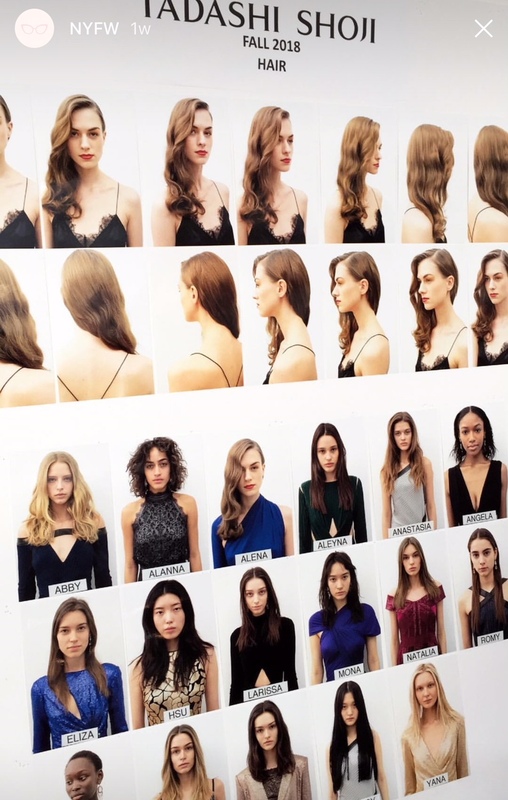 In addition to Tadashi, I was backstage at Priscavera with Aveda. Love seeing everything come together for a show backstage! Rooftop bar at the Moxy was pretty awesome. I mean there’s no better way to experience night life in New York City. Even though 2 glasses of wine cost me nearly $42, it was well worth the ambiance and the fun. Great music, great views and great vibes. 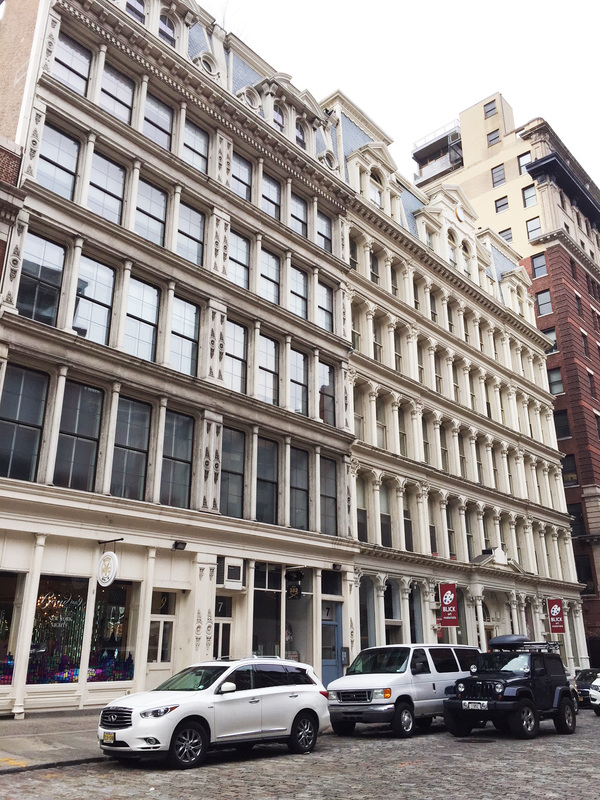 Another one of my favorite spots is SoHo. The architecture and the designer stores make it one of the coolest places to visit. I love shopping around the designer boutiques and seeing all of the fashion in person! Love this post girl! Loved reading about everything you did and such pretty photos! Ahhh I am so jealous! I want to go to NYFW so bad but have not been able to yet! Thanks for sharing your experience sounds like so much fun! It sounds and looks like you got a lot done during your short trip! I am dying to go to NYFW one day! These pics look amazing! 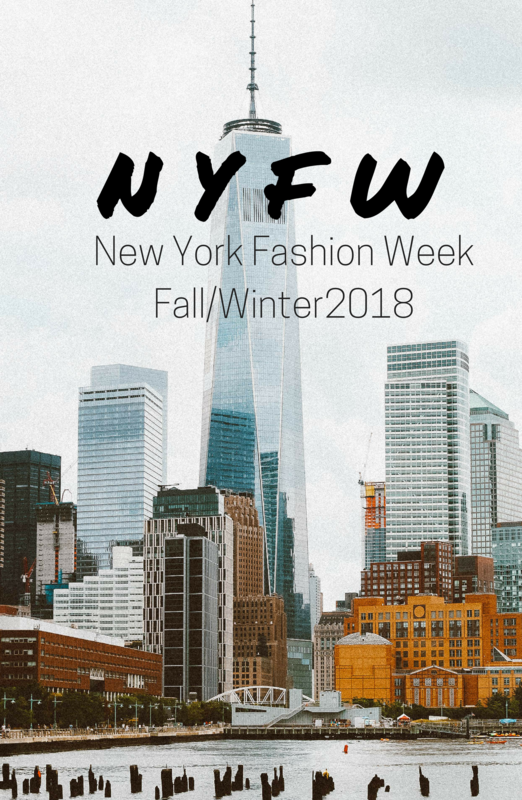 Your NYFW trip looks so fun! I’ve stayed at 1 Hotel Central Park a couple years ago and LOVED it, such a nice hotel (and great location)! Great post! Always love to read about NYFW experiences. Looks like you enjoyed every minute of it. Loved how much you were able to do with such a last minute trip! It was so hard for me not to go this season but we were moving and my hubby was transitioning into a new career so it wasn’t in the cards this season. Looks like you had a fabulous time. Love the photos. NYC is my dream destination and I really hope to explore it soon, Taylor! 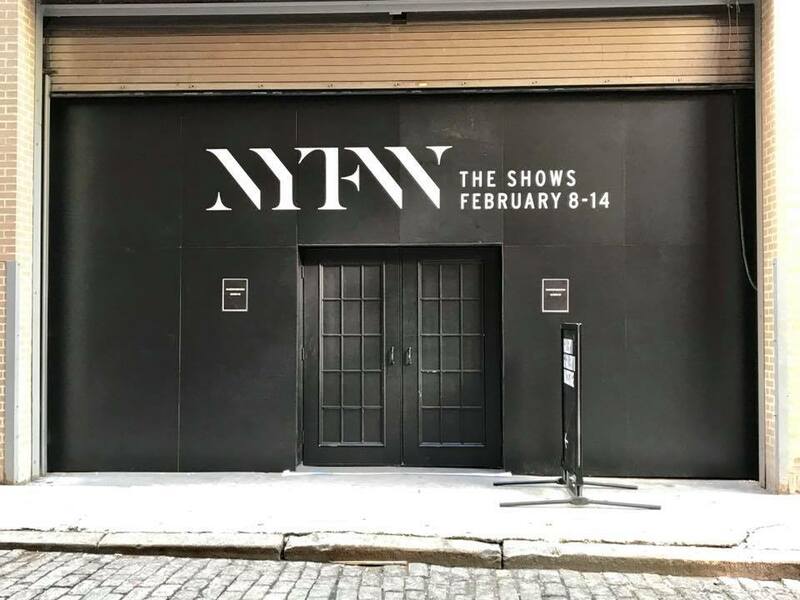 The NYFW seems like an exceptional event which I would love to attend one day! 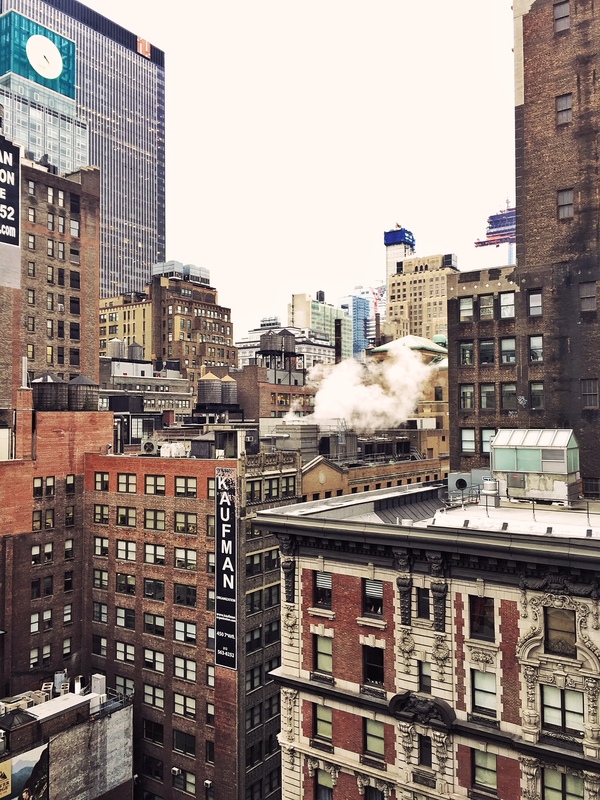 i love NY, your hotel looked incredible! Absolutely majestic photos! 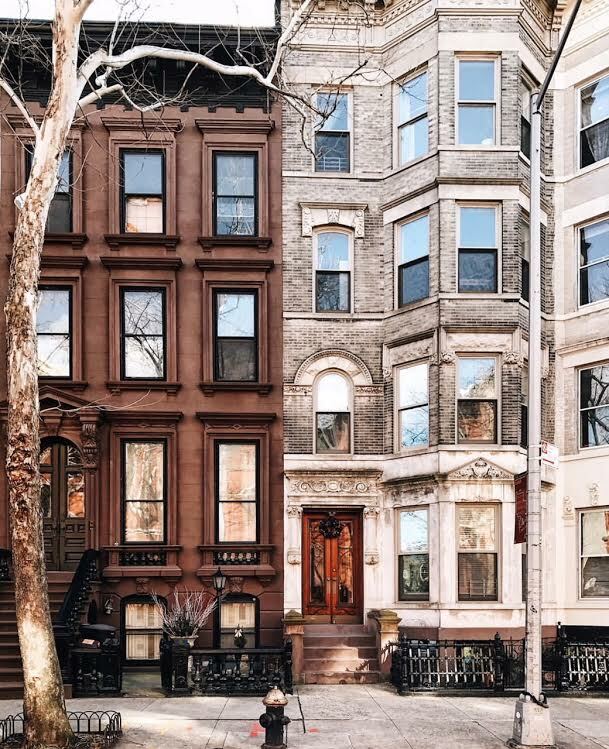 New York its place are a dream!